Eligible bodies who hold a valid declaration of eligibility and /or sufficient evidence to demonstrate eligibility for the relief, can obtain some goods and services at zero VAT, if the supply is of medical, scientific, computer, video, sterilising, laboratory, or refrigeration equipment, and this equipment is being purchased to be used by an eligible body mainly for medical or veterinary research, training, diagnosis or treatment, and they are paid for using charitable or donated funds. Full information can be found on the HMRC website by clicking here. 4.8 Which rescue equipment qualifies for zero-rating? that is not of a type ordinarily supplied for private or recreational use. 2 The equipment is supplied to, or for donation to, a charity that provides rescue or first aid services. 3 The equipment is to be used by the charity solely for providing rescue or first aid services. – two-way radios that are pre-calibrated to the emergency frequency. General-use items such as mobile phones and pagers; binoculars; torches; searchlights; and loudhailers are not zero-rated, even when they are purchased for use by a rescue or first aid charity. Monthly Prize Draw – A new prize every month! 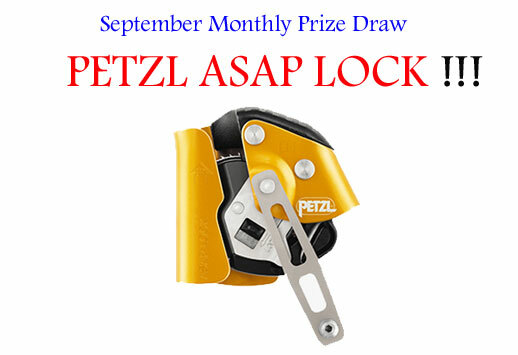 The Petzl ASAP Lock is the latest and greatest development in the world of rope access and is the Rolls Royce of back-up devices. Although in very short supply in UK, we have set aside one for a lucky winner. Stay signed up for your chance to win a different prize every month! 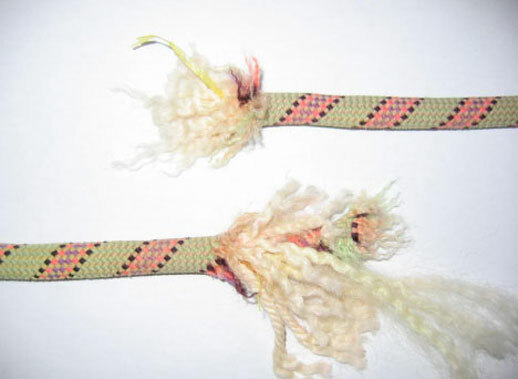 Just looking through some old articles (2009), we came across an interesting British Mountaineering Council (BMC) report on a Beal rope that snapped whilst in use on a climbing wall. Paragraph 2 details the use of distilled water and a pH test to establish if the area of the break had been contaminated with an acid.